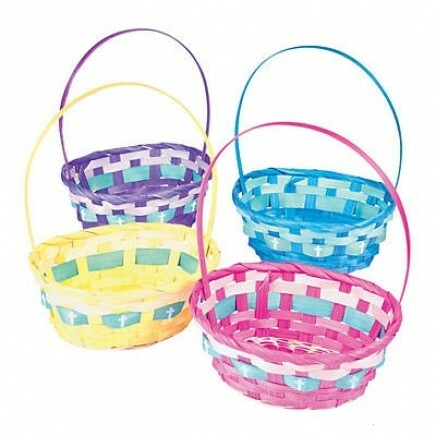 Perfect for collecting eggs or handing out as church giveaways, these colorful baskets feature images of crosses and come in a trendy ombre color pattern. • Assorted. • Material: Bamboo. • Size: 8 1/4" x 6 1/4" with a 14 1/2" handle.